Not signed up for our newletter? Click here! 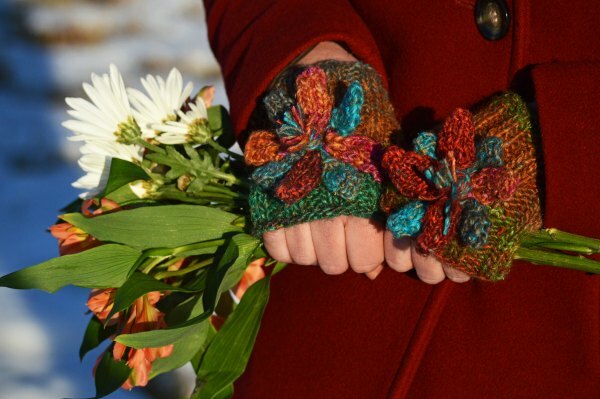 Pretty Mitts for having a pretty day. The lace panel is fun to make (and beads make it even better). This pattern makes a beautiful gift! 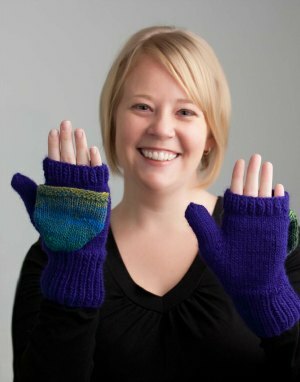 Buy Pretty Day Mitts here. 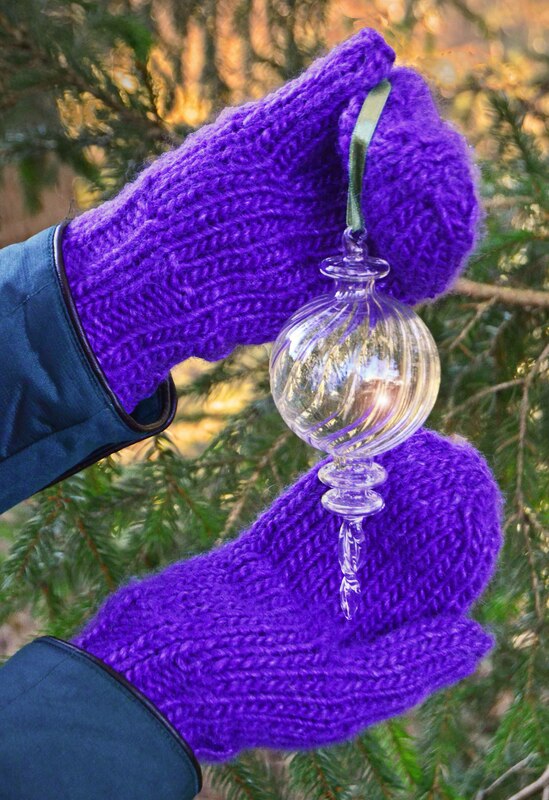 Most mittens are knit from the cuff up. But knitting from the top down has several advantages: You can try on the mittens for sizing as you go, and you can avoid having to sew the end together. You can use any weight of yarn for this pattern! I crave them all year round, but in the spring—in the spring is when I crave them the most. So this week, I knitted my flowers. I put them on some little mitts to keep my fingers warm while the snow melts. 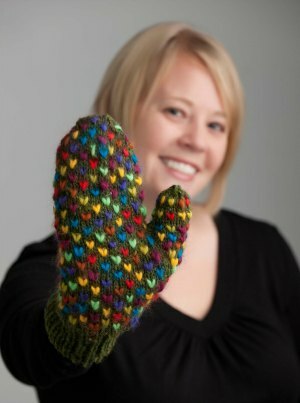 This easy project is a terrific first-mitts project. You need only to know how to knit and purl. It’s winter, and you have to be careful: You might catch a cold! So be sure to eat well, get lots of sleep, drink plenty of fluids—and wear your Vitamin Z! This over-sized mitten combines a bulky yarn with a lighter-weight yarn in Fair Isle, to create a wearing experience almost as warm as thrummed mittens. But because you don’t have to work with all those separate thrums, it knits up faster. Use a basic wool for the lighter-weight yarn. For the bulky yarn, use something soft—something with angora or alpaca—for the right squish for the project, along with maximum defense against the cold! This pattern assumes that you know how to do Fair Isle and use double-pointed needles. It is helpful, although not necessary, to have made at least one pair of mittens with a gusset as well. It is a cold winter. Very cold. Perhaps you live in northern Canada, or perhaps Finland or Siberia, or perhaps the North or South Pole. Or perhaps you have a Polar Vortex that inexplicably came your way. But whatever the explanation, you need good mittens. Here to the rescue: thrumms. They make the inside of your mitten thick, warm, and fluffy. Make them, wear them, and smile with the cold. You’re ready for it. We here at Really Clear have a way to further rev up children during the holiday season! These adorable mittens are perfect for little ones in December. 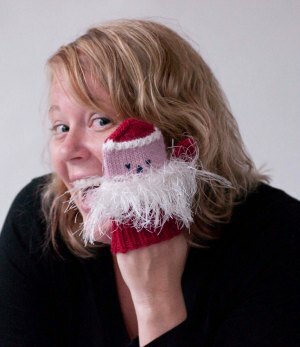 Find some furry, white yarn for Santa’s beard, and you’ll turn an everyday mitten into a cold-weather event! 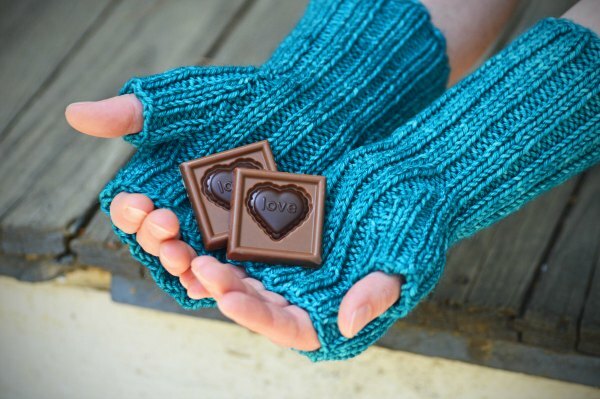 You may wear these versatile mittens with the top either up or down. They let you set your priorities for grip or warmth (and let you answer your phone in the cold). 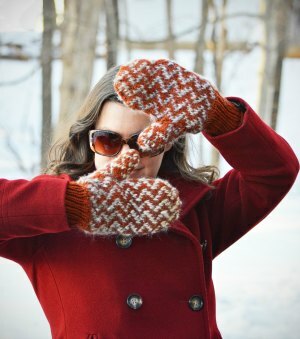 A contrasting color for the pop top makes the mitten even more fun! Lindsay told me one day that she was desperate. 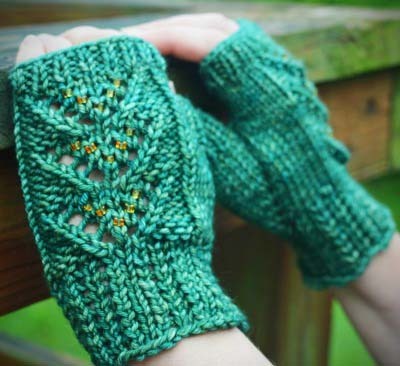 She wanted simple, fingerless mitts that were ribbed the whole way and that had a separate thumb gusset. Although they were probably out there—somewhere!—she could not find any. I told her I loved the idea and would design them. When she made the first pair, she proclaimed them perfect. I had to admit that she had come up with a wonderful suggestion. Try them. I bet you will agree.